Nepal is a blissful place to visit once in a lifetime. Nurtured in the lap of nature and filled with the beauty and bounty of nature. Nepal is heaven to explore. From spiritual temples to stunning mountain villages, to the daunting and magnificent snowy mountains that are ready to take anyone’s breathes away at one glimpse. Nepal is a paradise not only for trekkers and hikers but also a dream destination for honeymooners, nature lovers, and photographers. No other trekking destination can beat the real adventure of hiking in the virgin landscape amidst the beautiful landscape and mountainous terrain. Nepal is blessed with some of the largest mountain peaks in the world and is home to the world’s largest mountain peak Mt. Everest. Many adventure lovers especially the veterans have the desire to climb up the challenging Mount Everest. But believe us it is not everyone’s cup of tea due to the nose peak climbing and extreme weather condition. 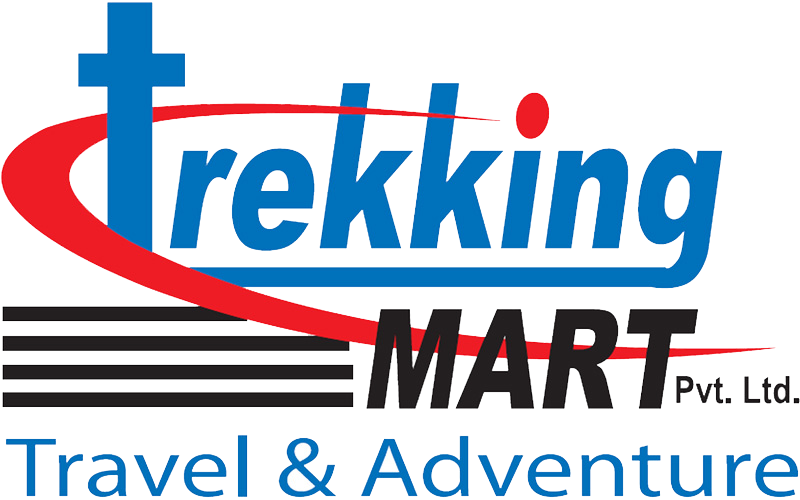 Therefore Trekking Mart a tour and travel company based in Nepal has made a customized tour package named Everest Base Camp trekking for the adventure lovers and trekkers who want to take a glimpse of the magnificent MT. Everest. We often get to see Mt. Everest on screens but have you ever imagined how wonderful it would be to see it in reality. No worries Trekking Mart will take you to Everest Base Camp where you can truly enjoy the beauty of Mt. Everest in reality. Everest Base camp situated inside Sagarmatha (Everest) National Park a national park situated at the world’s highest altitude gives you a miraculous view of the Snow-capped Mt. Everest amazing Sherpa culture and incredible nature. The trip will begin with a scenic flight of 30 minutes from Tribhuvan International Airport to the Tenzing-Hillary Airport located at Lukla. The flight will provide you a thrilling adventure amidst the beauty of snow clad peaks. While trekking with Trekking Mart, you will follow the trail route of Tenzing and Sir Edmund Hillary which will give you a sense of pride. The foot trails will lead you to some of the most exquisite Sherpa villages. The beauty of foot trails, villages and the rich ecological diversity will leave you mesmerized. Phakding, Namchebazar, Monjo, Tengboche, Dingboche, Pheriche, and Kala Patthar will provide you a meaning of real natural beauty. Further, you will come across suspension bridges and the appealing beauty it offers. One can experience the rich Sherpa culture and hospitality; have the fun of enjoying exquisite Sherpa cuisines. The divine land filled with Buddhist Pagodas and huge prayer wheels and the monks continuously enchanting of Mantras will arouse a feeling of divinity in you. Although the difficult terrain to climb, you will enjoy the out of the ordinary nature free from the hustle and bustle of daily life and feel tranquility and peace. Further in case of any difficulty in carrying your bag pack we have trained porters to accompany you. Pack your backpack and be ready to join us now!